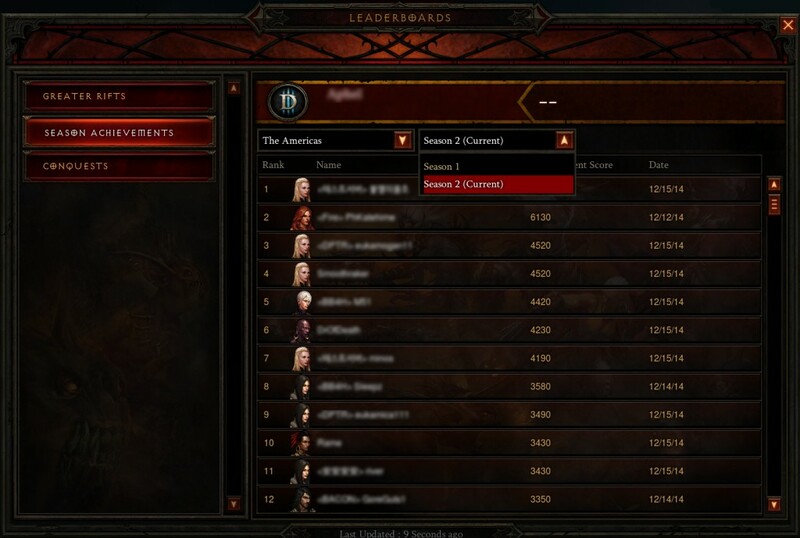 Blizzard is almost set for 2.6.1 but have issued a notice regarding Diablo 3 Era Leaderboards and they will experiment with “technology” that will allow them to lock them while the patch is deployed. This will however impact all leaderboards. Blizzard also offered up a “first look” piece for Diablo 3 2.6.1 but you will know all of this already if you’ve been keeping a close eye on 2.6.1 developments. cool now bring back AH !! They should sell the AH itself as a separate DLC kind of like PoE does with their more stash tabs feature. They can continue to upgrade the AH with search features and options, more filters, more item storage and so on. Just don’t have a real Money auction house, and don’t go back to basing the drop rates on the damn thing. lol that reminds me of the old days when we used the auction house for mulling. Bringing back the auction house sounds interesting…. maybe make currency lgems, crafting mats, or hellfire mats. The AH would be a complete waste of time and dead in about week. With Primal items, that is all there would be. Maybe AH would work for seasons. Gold is meaningless, shards would be too since you can just buy Primal gear. AH would essentially would be a donation box. Buyer would give up Primals for a currency they have no need or want of. The only way I could see AH being viable is with a complete overhaul of the item system. There should to be some form of clan trading though. how is Flux? didn’t he work in CA wine-country? Flux moved to Oregon and lives between Portland and Salem, working in the wine industry there. I visited him in August to see the total eclipse. So he wasn’t directly affected by the CA fires. He’s fine. He’s busy doing wine stuff right now as you say. Because, the reason why it is “a waste of time” is because there is nothing to trade FOR. Gold is worthless, blood shards are almost useless, and crafting mats are a dime a dozen. There are no valuable commodities for trade in exchange for the item. Actually when I stop and think about it, there is only one thing that is of any value to a high level player, bounty mats, but it would have to be a ton of them to be worth while.